With her Full English Breakfast, Afternoon Cream Teas and award-winning homemade pies, Mel will remind you what great homestyle cooking really tastes like. 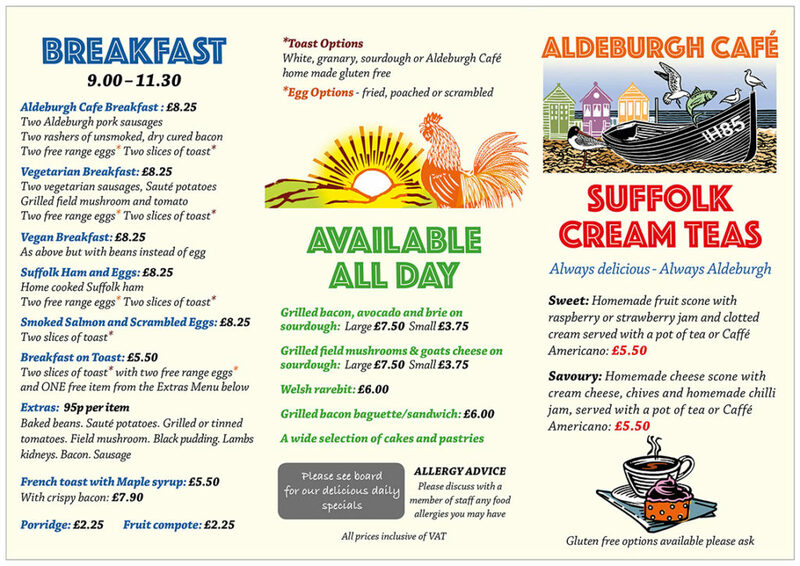 Here are some of The Aldeburgh Café’s regularly available dishes. 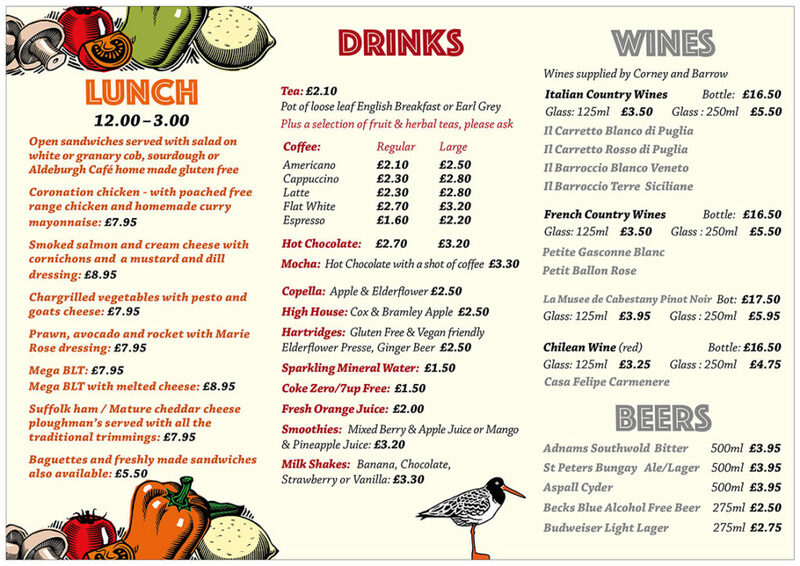 Seasonal dishes and Daily Specials are displayed on our chalkboard.